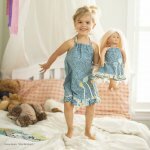 For more information, pricing or financing on this product please contact 781-828-2201 or email our sales team. 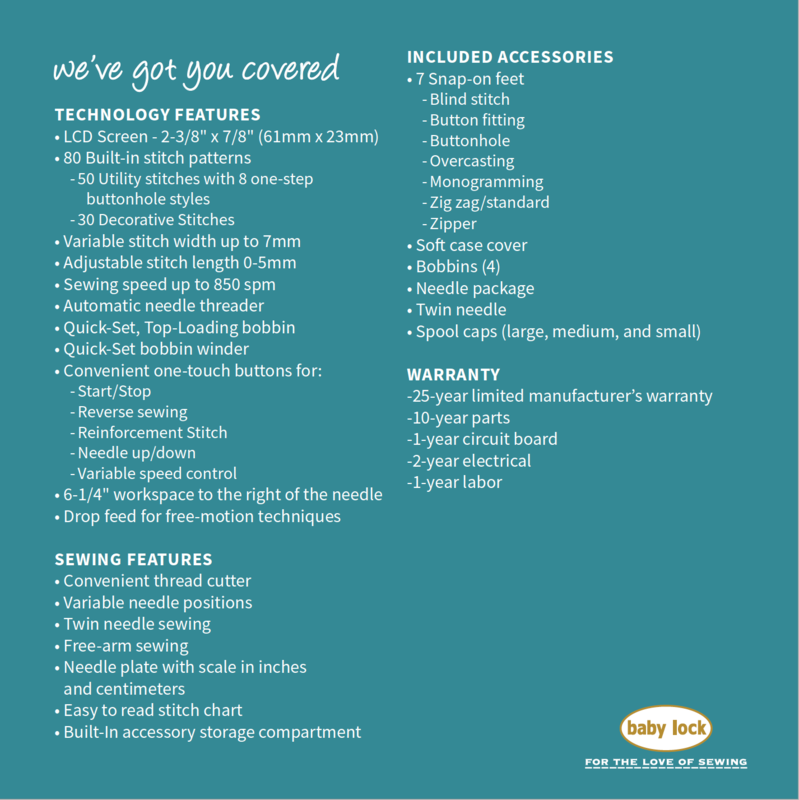 The Baby Lock Jubilant comes packed with 80 built-in stitches, a needle threader, and an easy to remove flatbed making free arm sewing a breeze. 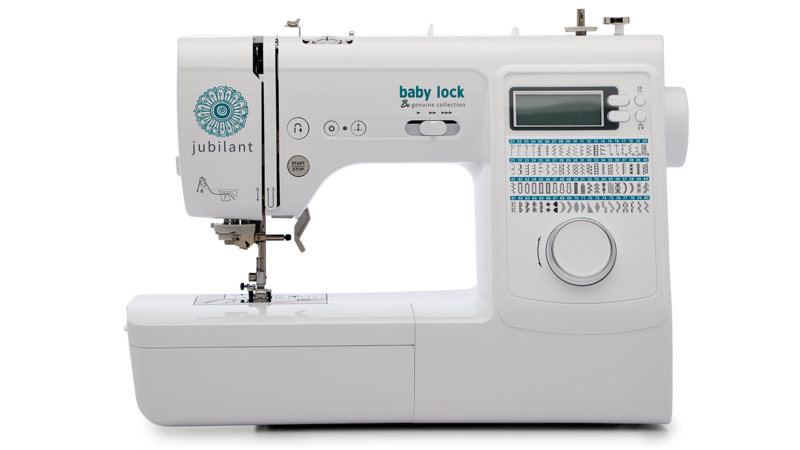 The Baby Lock Jubilant is perfect for everything from quilt piecing to basic garments. 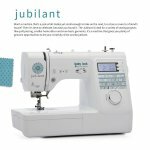 This do-it-all machine comes with a built in storage compartment, and its compact size makes the Jubilant the ideal machine for taking to class or just a friend’s house. 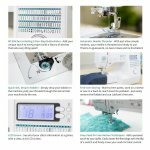 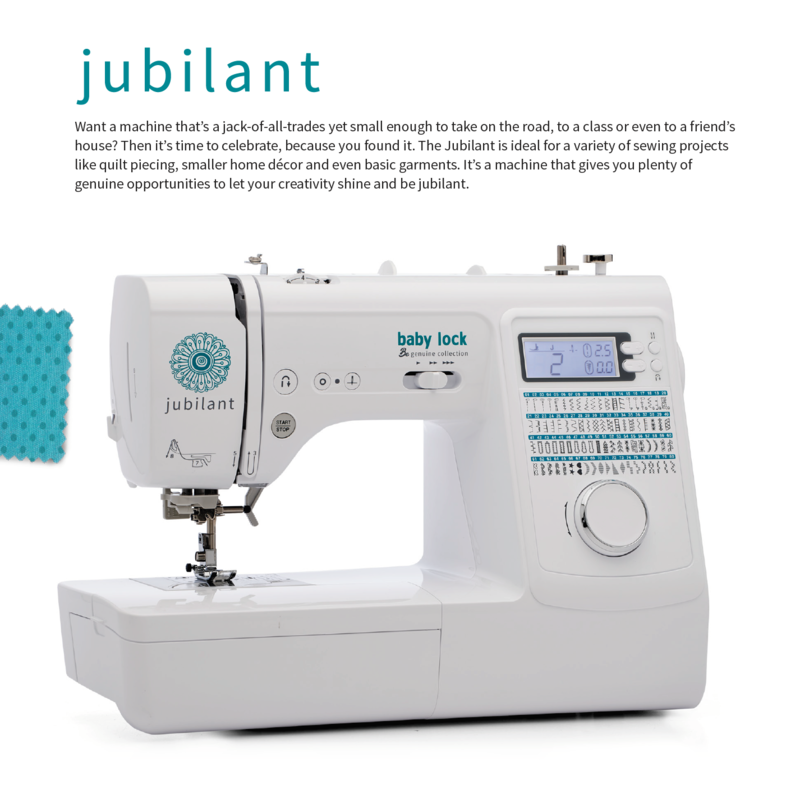 If you’re looking for a machine that won’t take up space but still has the power and functionality for all your sewing projects, then the Baby Lock Jubilant is a great machine. As part of the Genuine Collection, this machine also comes with Baby Lock’s free online classes.